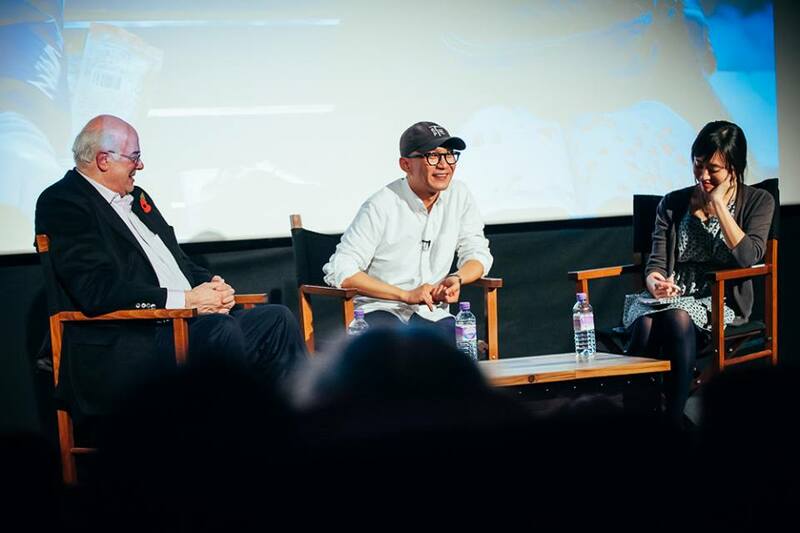 If I had seen no other films at the 2015 London Korean Film Festival, the evenings of films by Lee Kwang-guk would have made the whole festival worthwhile. The first evening featured his second film, the short Hard to Say (2013), along with his debut feature Romance Joe (2012), while the second evening followed up with A Matter of Interpretation (2014). For my first encounter with the films of Lee Kwang-guk, maybe I was just in the mood for a crazily self-reflexive set-up, a scheme which loops and echoes and turns in on itself like a plateful of spaghetti. But somehow the fresh, teasing approach appealed immensely, even if I wasn’t sure quite what to make of it all. 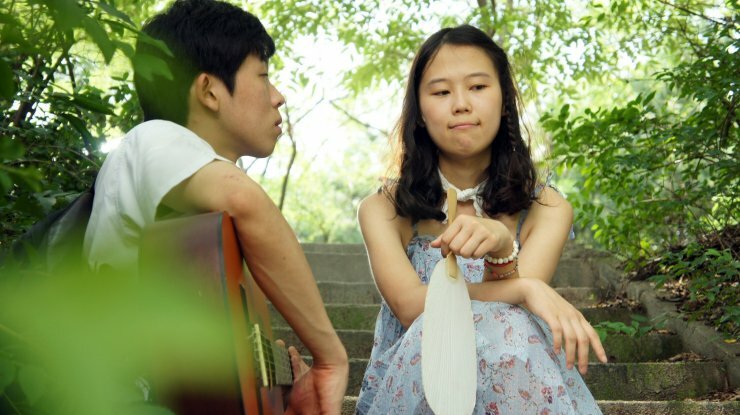 The first evening started with the short, and the title soundtrack had Hong Sang-soo stamped all over it: the simple piano piece in 3/4 time is the inescapable sound of Hong. And in its single, elegant narrative circle – with a kink in the middle – its structure was pleasing and relatively uncomplicated though it definitely recalled Hong in its playful echoes. All this is hardly surprising given that Lee was Hong’s assistant director in Woman on the Beach (2006), Like You Know it All (2008) and HaHaHa (2009). Romance Joe takes playfulness to a whole new level. It’s like Hailji’s Republic of Uzupis to the power of ten. In the Q+A which followed the screening, Director Lee said that that he was inspired by M.C. Escher’s lithograph Drawing Hands, in which a pair of hands draw each other. The film is a story about a story about a story, but the different levels intertwine in such a way that you are not quite sure which is the “real” level. And maybe there is not one: at the end we discover that the central character himself has an ID number that does not exist on any database, and in the final scene the characters are chasing the white rabbit from Alice in Wonderland. Romance Joe is the sort of film that once you’ve seen it you immediately want to watch it all over again to see if it makes more sense the second time round. It probably won’t, but you’ll still enjoy it. In Romance Joe the different loops in the plot are introduced by one character telling another a story. In A Matter of Interpretation, which is equally whimsically layered, the different loops and echoes are dreams which one character tells to the other. The master dream interpreter is a slightly offbeat detective, who seems to land all the suicide cases the precinct rather than any juicy murders. The other-worldly Lewis Carol references continue in this film: the detective, who looks at his pocket watch and declares he must be going, is the white rabbit, and the central female character wears a dress that implies she is the Queen of Hearts. It is the same actress, Shin Dong-mi, who plays the coffee girl in Romance Joe. The dream-interpreting detective, Yoo Joon-sang, is a Hong Sang-soo regular. Seeing the two features virtually back-to-back is rather like watching two Hong Sang-soo films back to back only (am I allowed to say this?) much easier to enjoy. Lee Kwang-guk’s two features have undoubted similarities, themes and structures in the same way that Hong’s have. Romance Joe centres around a director / screenwriter with writer’s block, while a matter of interpretation focuses on struggling theatre actors. Both have interrupted suicide attempts as a recurring theme. Perhaps of the two feature films Lee’s second is more substantial, asking more questions about what is valuable in life: creativity or money. But either will give immense amount of pleasure. They are probably best not watched on two consecutive evenings. But watched a year or so apart would be absolutely fine. And I’m looking forward to his third feature, though his next movie is a short that may well be premiering at Jeonju next year. Whatever, I’m definitely going to be following this director almost with an enthusiasm I’ve hitherto reserved for the likes of EJ Yong, Bong Joon-ho and Lee Chang-dong.